Xbox 360 players can implement an update today that brings a number of improvements to their consoles, including support for more external storage. The update, which grants support for up to 2TB of external storage, was granted to Xbox 360 Preview Program members earlier this month. This is one of the most requested improvements to Microsoft’s last-gen console, Xbox’s Major Nelson said –– as of today, anyone can use the larger hard drives. One of the thing developers seemed particularly stoked for following last year’s WWDC was Apple’s own analytics package for app developers. Analytics packages have existed for quite a while now from third party services, but Apple’s analytics likely will be better since they don’t open up their back end to third party providers. Developers can apply for beta access right now by logging in here and requesting access. According to the rumor mill, access is already being granted to developers who were quick on the draw, so don’t waste time! In an effort to reduce the number of players who may be cheating during online games, Valve has now given game developers the ability to permanently ban “disruptive players” from their games. MCV discovered this earlier today after spotting it on the Steam Community. “Playing games should be fun. In order to ensure the best possible online multiplayer experience, Valve allows developers to implement their own systems that detect and permanently ban any disruptive players, such as those using cheats,” the official post reads. becoming one of the most popular aspects after their introduction in Persona 3.
with me long after the credits rolled. social link rank, your conversations grow more intimate. 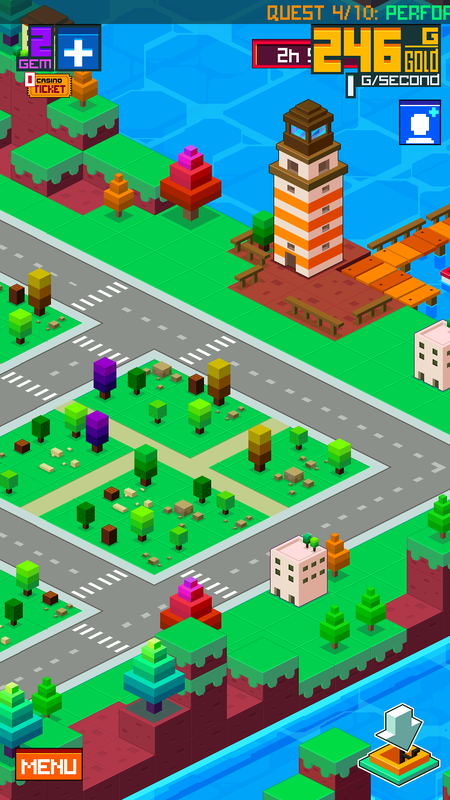 How many “city building” tap games have you played before? The answer is usually “just one and I hate them” or “five on a daily basis,” with very little room in between. Yes, Century City [Free] is another one of those “wait and tap” builders, but it sets itself apart with a few extra mechanics that allow you to play a more active role in your cities’ quest for unfettered expansion. The bright and charming bit-style visuals are the first thing the developer did right, immediately evoking memories of those wonderful magazine “seek and find” spreads, or more recently, the intro to HBO’s Silicon Valley. Vehicles are roaming freely about the metropolis, boats are out and about in the ocean, and the city feels sufficiently full of life. how eclectic video game characters can be. details below you should check out if you’d like to play some games! One more thing: Community member tstitan is setting a Super Smash Bros.
tournament into motion for the 3DS and Wii U. All Game Informer community members are welcome! leave your Friend Code or Wii U Network ID and get in on the smashing action! What Does a 19-Year-Old Alien Look Like? During the Build conference today Microsoft showed off capabilities of its next iteration of DirectX, DirectX 12. Running the 2012 Final Fantasy Agni’s Philosophy demo on a positively beastly quad-SLI Digital Storm PC, Microsoft showed the demo running in real-time in Direct X 12. According to Microsoft, the demo was showing off 63 million polygons, or about 6 to 12 times as many as were shown on the same demo running DirectX 11. Moving around the scene freely and adjusting lighting were shown off, as well as textures were at 8K x 8K. “Significantly more than we were able to do” with DX 11.